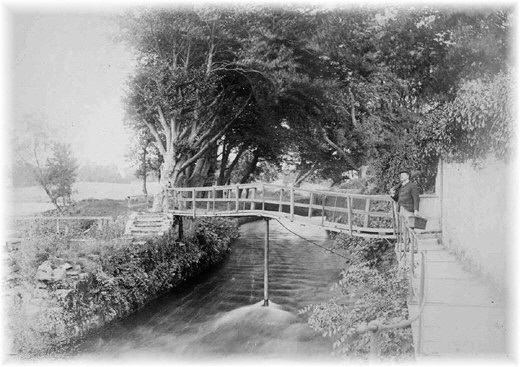 The Mill Stream and old footbridge at Gabbett's Grove, Corbally, before the huts and houses. 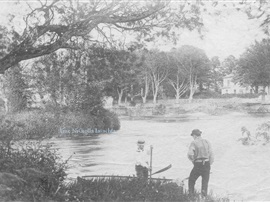 Corbally House on the left, now Corbally House Nursing Home. The footbridge over the Mill Stream, Gabbett's Grove, Corbally 2013. 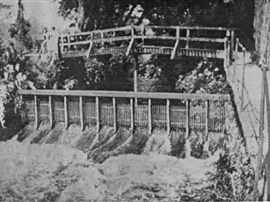 The old footbridge and portion of the Lax Weir at the Mill Stream 1920. This part of the weir was to prevent fish entering the Mill Stream. 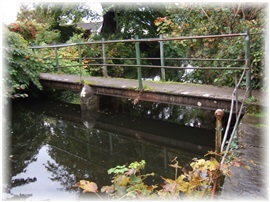 The old footbridge over the Mill Stream. The man in the photo, probably stepped out the back gate of Corbally House, just behind him. Across the bridge on the left is the Lax Weir. 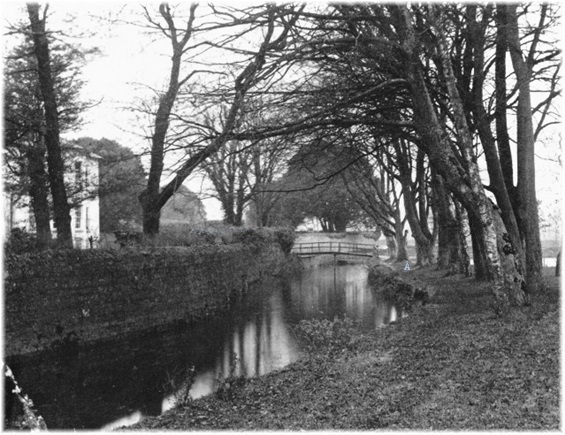 The Mill stream, Corbally House in the background. Mr. Liam Forde who lived at Lax Weir Cottage, Mill Road, now Suil na h-Abhainn, grazed cattle on his land along by the Salmon Weir Bank, now almost completely overgrown. Mr. Forde became manager of the Lax Weir company in 1925, he was also a founder member of Limerick Beekeepers Association. 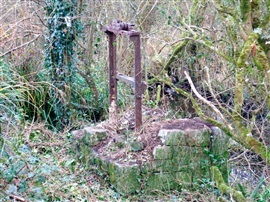 Old sluice on Salmon Weir bank, Corbally. A WINTER'S MORNING AT THE LONG SHORE By Anthony Duhan. A scallop of a slat breaks the surface just below Ford's trench. On the ruin of the old monastery staring silenly towards the Mill Road. The old castle gives one the impression that it will tumble and fall. 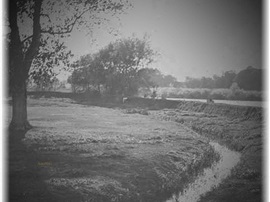 The Mill stream flows quietly though heavily in flood. In search of the great spring salmon. Nuclear, atomic and biological war have no meaning. Ann, this is brilliant. I spent many happy days on the Mill Stream and beyond with John Kelly from the "tin house" on the Mill Road. Wouldn't it be nice Gerard to have a photo of the tin house, it was unique, Moorehead's and Murphy's lived there before Kelly's. Glad you enjoyed them Josephine, thank you for your nice comment. Loved every photograph Ann .You are so good to share with us.Thank you so much.